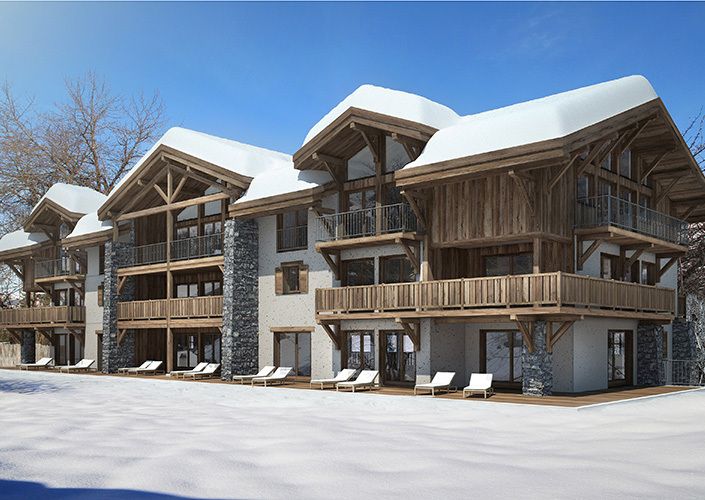 Brand New Luxury Apartments for Sale in Courchevel Le Praz, ideally located in the town center only 400m away from the ski lifts. La Praz is the most authentic village in the resort having retained its Savoyard charm. Property Prices are fraction in price compared to Courchevel 1650 & 1850. This area has excellent value for money. 20% VAT can be claimed back on all New Build Properties once your property is rented out. 80% LTV Mortgages are available, with 2.1% interest rates fixed for 20 years.